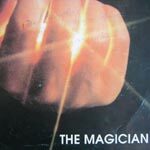 "When someone feels attracted to a certain music means that it is aligning to his spiritual feelings providing the dream quantity necessary for each. 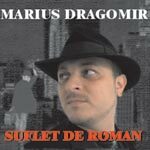 Certainly Marius Dragomir are among the few artist guided by benefical restless finding new and original ways of expression in contemporary sound monotonous entertainment area. 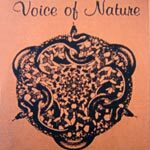 Brasov artist is not the first who discover our folk melos valences, but the way are emphasized surprise by originality. 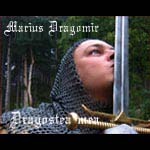 For Marius Dragomir there are no borders that separate music by criteria, let`s say, geography, this represents the accumulattion of values belonging to the planet. Pleasant surprised how the artist work interfering anostentatiously intonations and colour of our popular song with Reggae rhythms or Techno-Dance ,,seasoned,, with black soul music feeling. 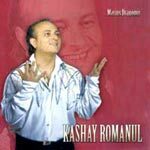 And because all this experience must bear a name, Marius Dragomir has named KASHAY music. 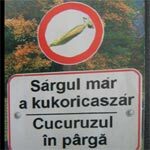 Etymology of the word is simple, it`s derive from a song title so wellknown and so that loved: ,,C-asa-i romanul,, ( that`s the romanian man), inventive, added by me. It is possible that the first contact with his sound internationalized Dragomir`s some to be suprised, not to say shocked by the creative daring experiment. Any reluctant, certainly, will disappear along the way can be seen as a result of damage way of thinking: ,,something I have never heard''. We think it`s just the earning of artist in the creative plan, that gives us SOMETHING ELSE, the thing that we all expect without knowing exactly WHAT? Songs like: ,,PARTY IN TRASYLVANIA,, ,,DRINK OR BLOOD,, ,,DRACULA,, or ,,KASHA-MI VINE CATEODATA,, (This I feel sometimes) wich emit a unique atmosphere, leaving us to appreciate the spirituality of the artist reflected in his humorous texts. Dracula vampire give up to blood, after discovering the savor of red wine wich sips an infinitely greater pleasure. 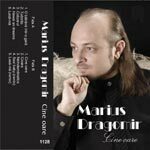 Marius Dragomir`s music comes straight from the heart, it will never be tied to time or fashion but certainly will require a style because appeals to all age, to the general public. Transylvanian music with the merger of the Caribbean is a ,,graf'', wich the artist offers us it`s not just as a natural act, but even necessary for renewal of sound entetainment. Interest for music style ,,ETHNO'' justity the need for change in the spondylitis of the party song. 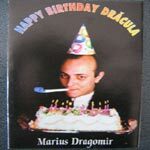 It may be that in such a favourable situation, Marius Dragomir`s music prefigures the sound of the THREE MILLENIUM."